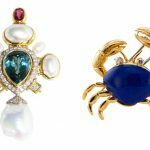 (Palm Beach, FL – March 31, 2016) –The Palm Beach Show Group continues to expand its impressive line-up of shows with the launch of the Miami Beach Jewelry & Antiques Show that will take place February 2-5, 2017. The soon-to-be-revealed venue will host more than 100 international dealers. The show is poised to be an exciting new event in 2017, showcasing a remarkable array of antique and estate jewelry and watches as well as a selection of exceptional antiques. 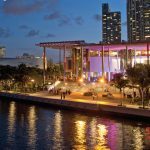 The show will present the finest jewelry and antique dealers from around the world, showcasing their one-of-a-kind pieces and offering a momentous shopping experience to an elite crowd in South Florida. Details about this exciting new event will be revealed in the coming weeks. The Show is set to foster dealer trading as well as retail buying and will be heavily marketed to attract top buyers throughout South Florida. All categories of jewelry will be on display including vintage, estate, art deco and contemporary pieces, precious and semi-precious gemstones, earrings, necklaces, bracelets, and high-end watches. “There is huge demand from dealers who want to be in Miami Beach during this time of year,” stated Andrea Canady, Director of Business Development for the Palm Beach Show Group. 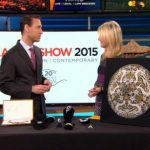 Owned and produced by the Palm Beach Show Group, the inaugural Miami Beach Jewelry & Antiques Show is designed to meet the needs of collectors, dealers and buyers alike. The Palm Beach Show Group is committed to creating environments to grow dealer and collector relationships through exciting experiences, networking opportunities and powerful marketing campaigns.